It&apos;s Father&apos;s Day on Sunday! What are you doing with Dad? Still looking for ideas? Look no further than Hendricks County because we have a wide variety of events taking place this weekend that fathers will enjoy. A can&apos;t-miss source of fun with Dad takes place Thursday through Saturday at St. Susanna Catholic Church in Plainfield when the St. Susanna Summer Festival comes to town. The St. Susanna Summer Festival takes place on Thursday from 6 to 10 p.m., Friday from 6 to 11 p.m., and Saturday from 4:30 p.m. to midnight. For more information, click here. Does Dad like music? Take him to Washington Township Park in Avon on Friday night at 7 p.m. for a Concert by the Creek featuring Indianapolis-based Audiodacity. Audiodacity is sure to make concert-goers of all musical tastes happy because their music encompasses Funk, rock, hip-hop, latin, jazz, reggae, R&B, blues and even dubstep. Anything is possible with Audiodacity! Admission to the concert is free, and there will be food and beer available for purchase. For more information about the Concert by the Creek series, click here. Another musical opportunity for Dad takes place on Saturday night on the historic Hendricks County Courthouse Square in Danville when the Cornfield Mafia comes to play during Summer Sounds on the Square. Gates open at 6:30 p.m., and the music begins at 7:30 p.m. Admission is $7 per person for ages 21 and over (free for those younger than 21), and you just bring a lawn chair, find yourself a comfy spot on the Square, and enjoy the music! A food court and adult beverages will allow concert-goers the ability to purchase whatever they need to satisfy their hunger or thirst. 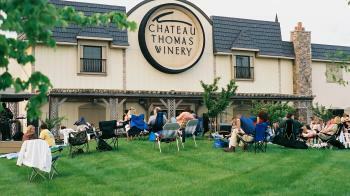 There is no shortage of music in Hendricks County on Saturday night, and if your dad loves wine, you should take him to the Chateau Thomas Winery in Plainfield. From 7 to 10 p.m., the two of you can enjoy Chateau Thomas&apos; outstanding selection of wines while dancing the night away to the fun sounds of Chris & the Social Studs during Music on the Veranda. Admission to Music on the Veranda is free, and there will be food and, of course, wine available for purchase. Bring your own lawn chair. Another great way to spend some time with your father is to head out to McCloud Nature Park, just outside of North Salem, on Saturday night at 9 p.m. for Hendricks County Parks & Recreation&apos;s Astronomy program. Members of the Indiana Astronomical Society begin the evening with a Sky Seminar inside the Nature Center at the park at 9 p.m., and then everyone goes outside at 9:30 p.m. to view the night sky through some powerful telescopes. Guests can also bring their own telescopes if they&apos;d like. Given McCloud Nature Park&apos;s location within Hendricks County, light pollution is minimal, making it a fantastic spot to see what&apos;s out there in space. This program is free to attend. For more information about this monthly program, click here. 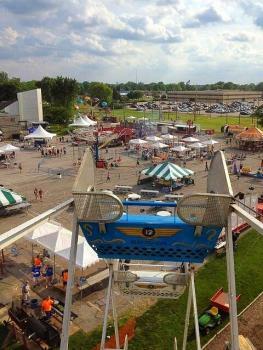 Celebrate Father&apos;s Day with your dad in Hendricks County this weekend! In addition to the above events, we have lots of other things to do, places to shop, and food to enjoy. We&apos;ll see you this weekend!